What is Skullcap? How it can help you with stress management? Nowadays when stress and anxiety seem to be everywhere we go, it’s important to think about our health, supplements and natural remedies that can ease our suffering from stress and make us feel better. Maybe Skullcap is exactly what we need to feel better and say goodbye to stress. Skullcap is a perennial herb in the mint family whose above ground parts are used to make medicine. Scutellaria Lateriflora is also known as Blue Skullcap is originated in North America and is used among Native American tribes because of its soothing properties. Chinese Skullcap has been used in traditional Chinese medicine for centuries to steady nerves, help to induce a state of relaxation and sleep better. This herb is used to treat many conditions such as anxiety, trouble sleeping (insomnia), stroke stroke-caused paralysis. Many people also use Skullcap for high cholesterol, fever, epilepsy, spasms, allergies, and nervous tension. However, there isn’t enough scientific evidence to determine whether it is effective for any of the conditions. You need to understand if you buy Skullcap supplements, because you may not buy Scuttelaria Lateriflora that are studied for medicinal use, because products may contain a different species of Skullcap. The most often used species are Marsh Skullcap (Scutellaria Galericulatum), Western Skullcap (Scutellaria Canescens) or Southern Skullcap (Scutellaria Cordifolia). Description: This supplement contains Chinese Skullcap that has been used in traditional Chinese medicine for centuries to calm nerves and get a good night’s sleep. If you have trouble falling asleep after a stressful day, this supplement is exactly what you need to induce a calm state of relaxation. Description: Scutellaria Lateriflora is extracted (1:3) into ethanol (medical alcohol) and is the active constituents of this tincture. In order to extract the active constituents into tincture form, the plant material undergoes a process of cold percolation. This Indigo Herbs supplement can be used as a sedative. You can add this premium quality product to fruit juice or water. Description: This Skullcap supplement is a trusted remedy worldwide to calm the nervous system. It is great for anxiety and stress relief. If you are feeling stress or anxious, this supplement can be taken up to three times per day to help you soothe nerves. Description: This Skullcap supplement has a superior quality standard and is carefully tested. Skullcap is commonly used in traditional formulas for nighttime rest. This dietary herbal supplement can help you with stress, anxiety relief and promote better sleep. Description: This Skullcap herb tincture promotes healthy sleep. According to the company, this herbal supplement is made from the best herbs on the Earth. It promotes healthy sleep which is needed if you want to reduce stress. Now you know, what is Skullcap and how it can help you with stress relief. It may help you to relieve stress, anxiety and restful sleep. 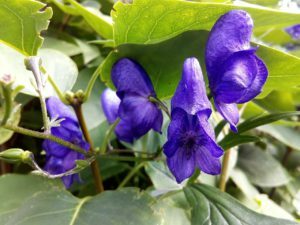 Skullcap is used in traditional medicine for centuries, but there isn’t much scientific research about this herb and its ability to treat many conditions such as insomnia and anxiety. What do you think about Skullcap and its supplements? Do think that it may help you sleep better and relieve stress and anxiety? Did you use this herbal supplement before? Let me know below! If you are looking for the best Skullcap supplement, CLICK HERE to know more.